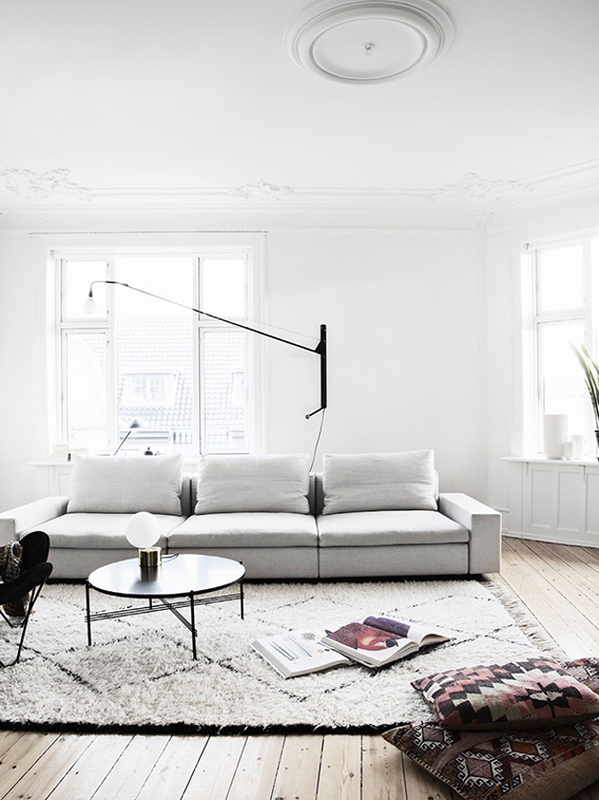 This apartment certainly have a high level of WOW factor. 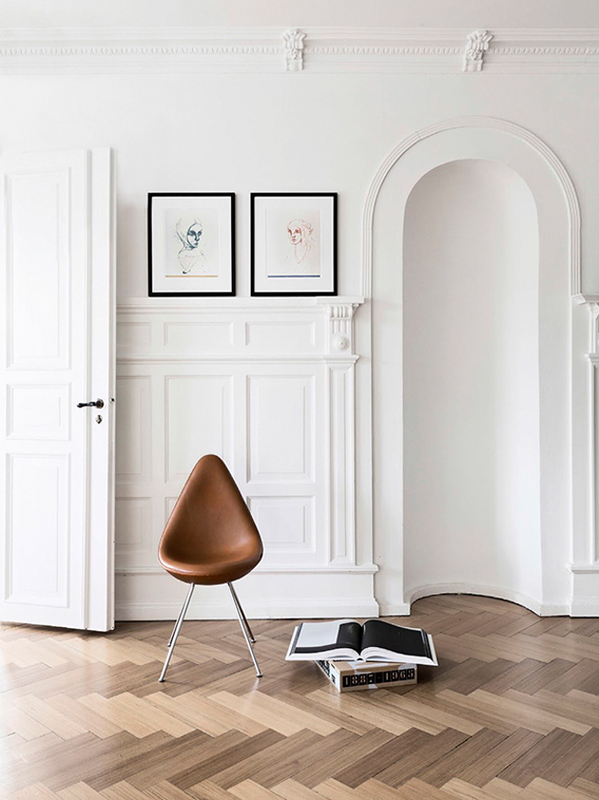 Large bright rooms, high ceilings, rich use of stucco, beautiful wood paneling and warm wooden floors provides a really extraordinary atmosphere here. 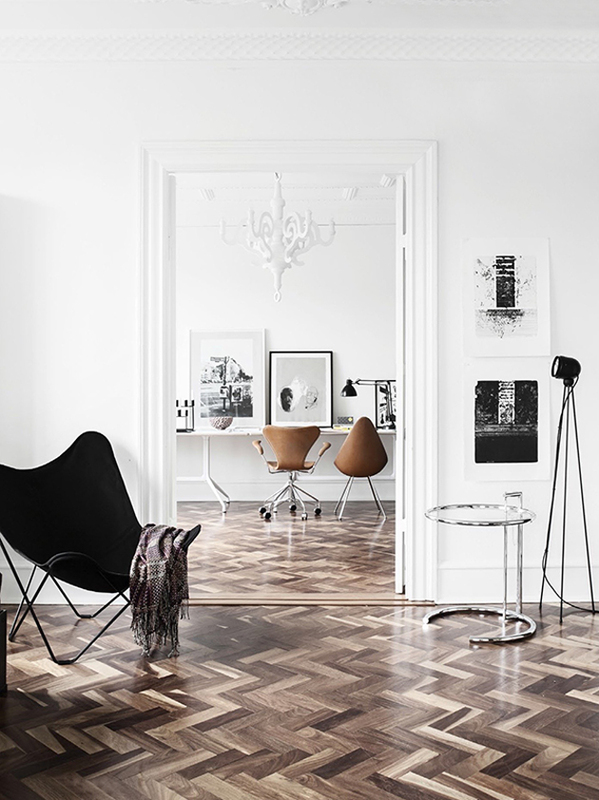 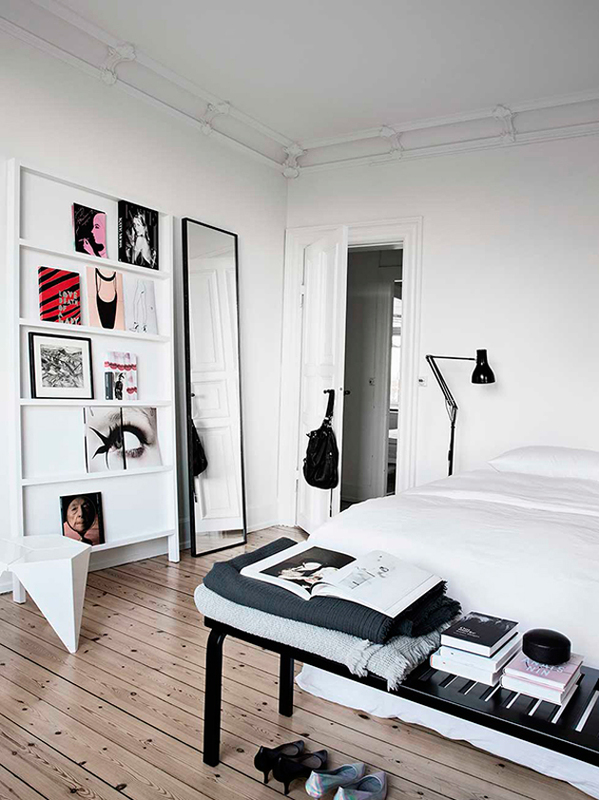 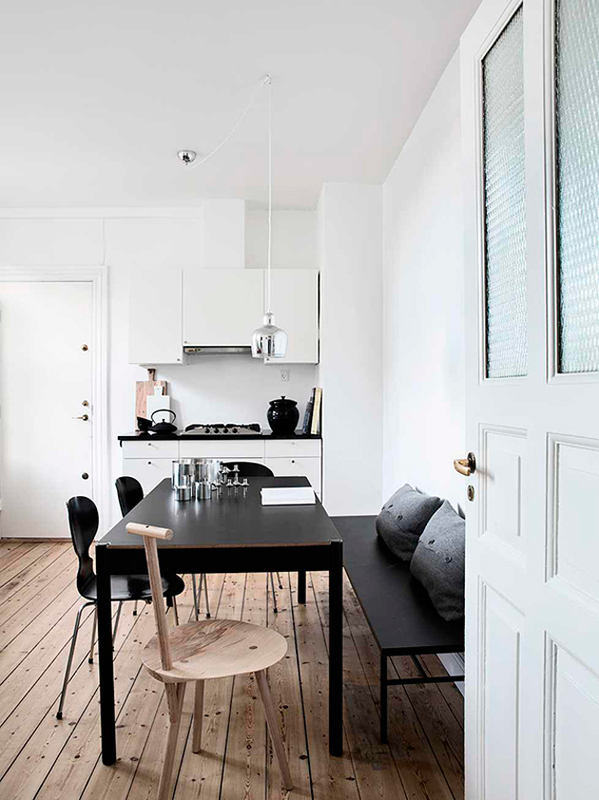 Colors used are black and white with occasional use of brown, decent and elegant fit to the apartment.